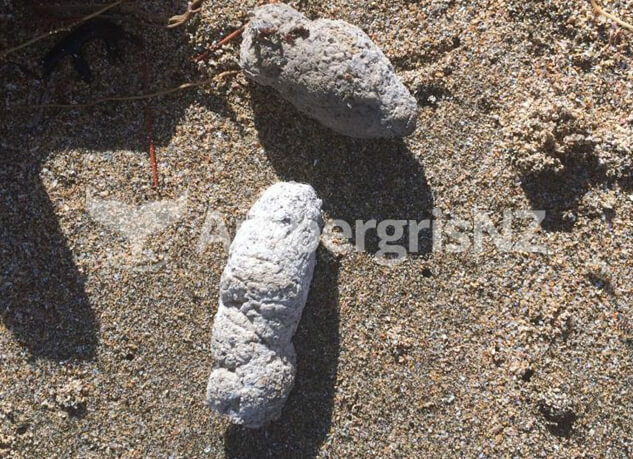 Objects that are often mistaken for Ambergris are Sea Kidney or Marine Sponge, Fat/Tallow, Gum, Pumice, Dog Poo and Black Rubber. 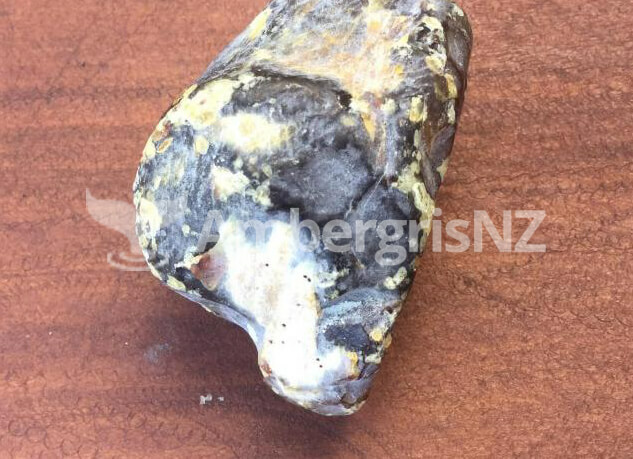 The following information can help you identify Ambergris. First: Identify whether your substance is hard or soft. 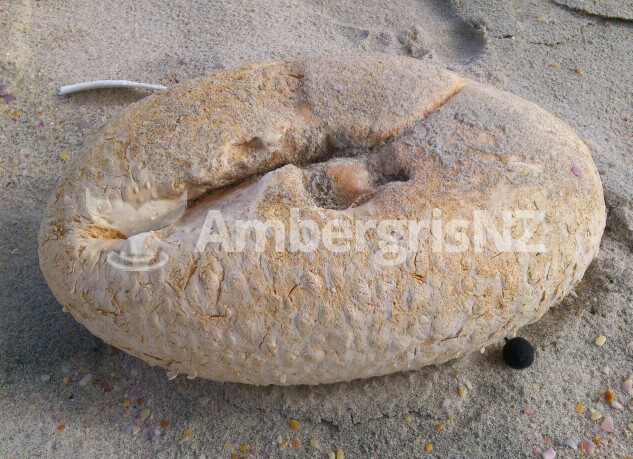 The percentage of Ambergris is of a hard texture. Second: Dig your fingernail into the substance to determine whether it is gritty or waxy. 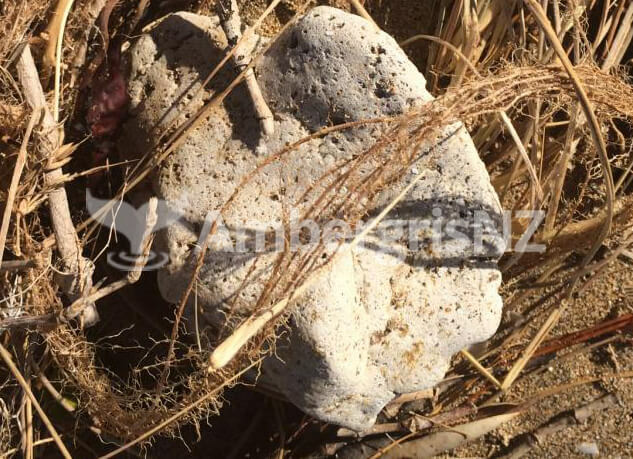 If it is gritty it is more likely to be pumice. 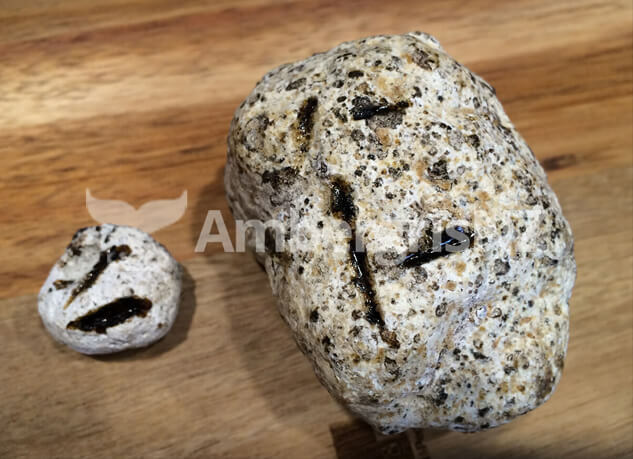 Sometimes it is possible to see squid beaks protruding the exterior of the Ambergris. 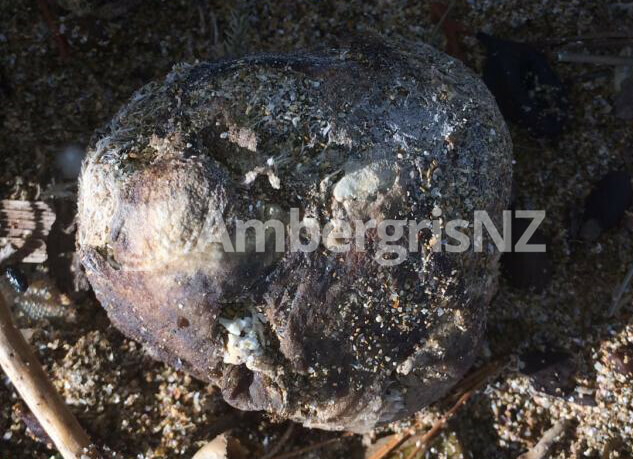 Third: Smell, most ambergris has a pleasant musky fragrance. Fourth: You may try to heat a needle by a naked flame and put into the substance. If it goes in easily and comes out with a drip of molten on the point and gives off a pungent musky smell it is looking more positive but not always 100%. Allowed types: gif, jpg, png, . By phoning 0274 991 881 or completing the form below we will help you identify your find.